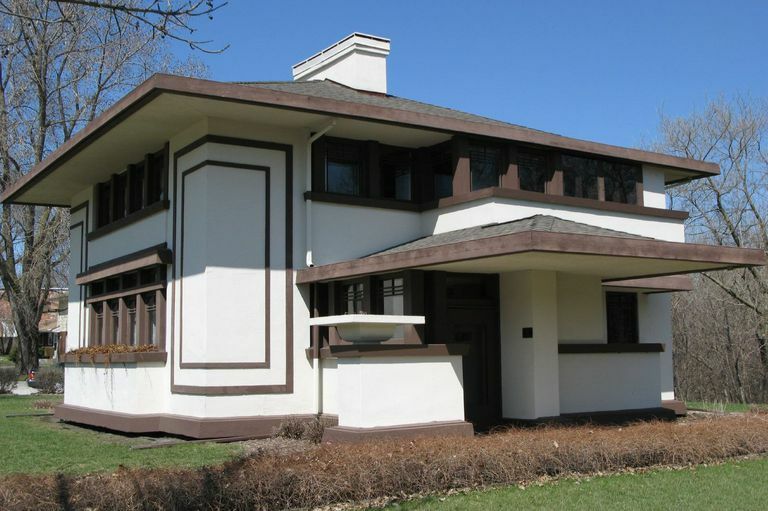 Frank Lloyd Wright's "A Fireproof House for $5,000" inspired the design of many Prairie Style homes, including the Stockman House in in Mason City, Iowa. Perhaps it was the 1906 earthquake and great fire in San Francisco that eventually inspired Frank Lloyd Wright's April 1907 Ladies' Home Journal (LHJ) article, "A Fireproof House for $5000." Dutch-born Edward Bok, LHJ editor-in-chief from 1889 to 1919, saw great promise in Wright's early designs. In 1901 Bok published Wright's plans for "A Home in a Prairie Town" and "A Small House with Lots of Room in It." The articles, including the "fireproof house," included sketches and floor plans designed exclusively for the LHJ. 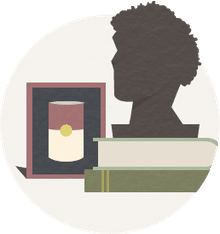 It's no wonder that the journal was "the first magazine in the world to have one million subscribers." The design for the "fireproof house" is very Wright—simple and modern, somewhere between Prairie style and Usonian. By 1910 Wright was comparing what he called "the concrete house of The Ladies' Home Journal" with his other flat-roofed, concrete projects, including Unity Temple. Simple Design: The floor plan shows a typical American Foursquare, popular at the time. With four sides of equal dimensions, concrete forms could be made once and used four times. To give the house visual width or depth, a simple trellis has been added, extending from the entrance. Center stairs near the entrance provide easy access to all parts of the house. This house is designed with no attic, but includes "a dry, well-lighted basement storeroom." Concrete Construction: Wright was a great promoter of reinforced concrete construction—especially as it became more affordable for homeowners. "Changing industrial conditions have brought reenforced concrete construction within the reach of the average home-maker," Wright claims in the article. The steel and masonry material provides not only fire protection, but also protection from dampness, heat, and cold. "A structure of this type is more enduring than if carved intact from solid stone, for it is not only a masonry monolith but interlaced with steel fibres as well." "In the composition of the concrete for the outside walls only finely-screened bird's-eye gravel is used with cement enough added to fill the voids. This mixture is put into the boxes quite dry and tamped. When the forms are removed the outside is washed with a solution of hydrochloric acid, which cuts the cement from the outer face of the pebbles, and the whole surface glistens like a piece of grey granite." Flat, Concrete Slab Roof: "The walls, floors and roof of this house," writes Wright, "are monolithic casting, formed in the usual manner by means of wooden, false work, the chimney at the centre carrying, like a huge post, the central load of floor and roof construction." Five-inch thick reinforced gravel concrete creates fireproof floors and a roof slab that overhangs to protect the walls. The roof is treated with tar and gravel and angled to drain not over the cold edges of the house, but into a downspout near the winter-warm center chimney. Closable Eaves: Wright explains that "To afford further protection to the second-story rooms from the heat of the sun a false ceiling is provided of plastered metal lath hanging eight inches below the bottom of the roof slab, leaving a circulating air space above, exhausted to the large open space in the centre of the chimney." Controlling the air circulation in this space ("by a simple device reached from the second-story windows") is a familiar system used today in fire-prone areas—left open in summer and closed in winter and for protection from blowing embers. Plaster Interior Walls: "All the interior partitions are of metal lath plastered both sides," writes Wright, "or of three-inch tile set upon the floor slabs after the reinforced concrete construction is complete. After coating the inside surfaces of the outside concrete walls with a non-conducting paint, or lining them with a plaster-board, the whole is plastered two coats with a rough sand finish." "The interior is trimmed with light wood strips nailed to small, porous terra-cotta blocks, which are set into the forms at the proper points before the forms are filled with the concrete." Metal Windows: Wright's design for a fireproof house includes casement windows, "swinging outward....The outer sash might at no very great additional expense be made of metal." Minimal Landscaping: Frank Lloyd Wright fully believed that his design could stand on its own. "As an added grace in summer foliage and flowers are arranged for as a decorative feature of the design, the only ornamentation. In winter the building is well proportioned and complete without them." Did Frank Lloyd Wright Design a Synagogue?